Freshen things up this season, starting from the top. Dandruff is definitely uncomfortable, and it can be one of the main reasons you’re dealing with an itchy scalp, but it’s a problem with a relatively straightforward fix. This issue is sometimes attributed to an overgrowth of lipophilic (oil-dependent) yeast called malassezia. This can happen when the scalp gets too oily. 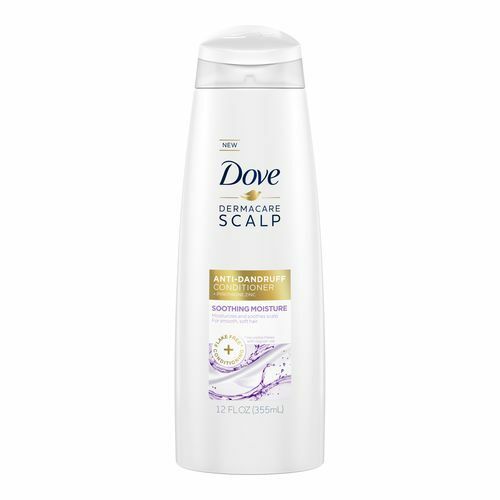 Shampoos can keep oil under control, and scalp products that are specially medicated to treat dandruff are also available for real relief. Irritation and flaking due to dandruff however can only be one of the causes of a prickly scalp. Though commonly afflicting babies and young children, eczema also frequently affects adults. It’s a medical condition that causes an itchy, sometimes blistery rash on the skin’s surface, causing it to be red and inflamed. People have attributed eczema to several causes, which can range from feeling stressed to specific dietary choices. Eczema is even associated with reactions from some soaps and cosmetics. Another medical condition that can cause itching, flaking and irritation on the scalp is called sebborheic dermatitis, or sebborhea. Some experts interchange scalp sebborhea with actual dandruff. Again, it’s relatively common (so don’t panic!) and can be treated with steroids, topical creams and targeted shampoos. One other chronic condition is psoriasis, which is characterized by itching and flaking. The condition occurs when our immune systems prompt an overproduction of scalp skin cells. Affected areas can be most obvious along the hairline and again can be relieved by some oral medication, steroidal creams and even medicated shampoos. We know, major cringe, but ringworm, or tinia capitis is also a cause for scalp irritation. The usual soil-borne cause for toenail fungus and athlete’s foot can also find its way onto our scalps via contact with our pets (sorry, Fido), towels, beddings and hair brushes. It can cause itchiness, scaling and sometimes even hair loss when left untreated. These pesky little bloodsuckers aren’t solely a schoolyard problem. Lice (and their eggs, or nits) are a highly contagious parasite spread through contact with towels, headphones, brushes, beddings, headgear and accessories, meaning anyone who shares these things may be at risk. They’ve even been reported at movie theaters and in dressing rooms! Lice can cause extreme scalp itching and an overall creepy, crawly feeling. A lice infection can be cured by washing with medicated shampoos that are available over the counter, as well as treating your head with some prescription-grade medication. A dry, tight-feeling, itchy scalp can lead to an itchy, prickly feeling as well. Harsh winters can exacerbate this condition, making it more important for us to switch to more moisturizing and hydrating hair products during that also treat and moisturize the scalp. 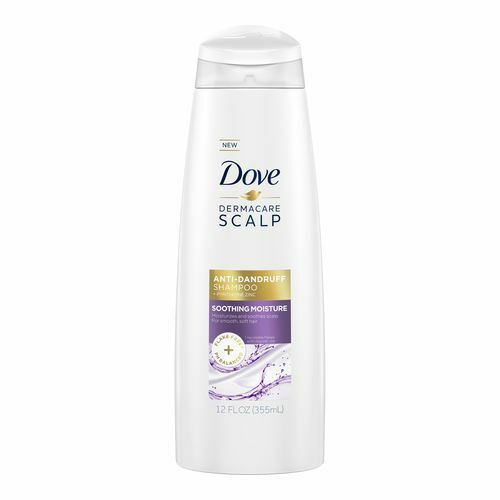 We love Dove Dermacare Scalp Soothing Moisture Anti-Dandruff Shampoo and Conditioner to soothe and moisturize dry scalps. On the flipside, a greasy scalp that isn’t washed regularly, or one that has too much product or grime buildup, can also cause dandruff-like irritation. Irregular or poor hair washing hygiene can impair the normal turnover of scalp skin cells, causing flakes, itchiness and even a slight odor. We’ve been there: slathering our bodies with SPF, totally writing off the skin under our hair. UV rays can still make their way onto our scalps and cause a sunburn, and when this heals, can produce itchy, peeling flakes. Cooling hair treatments can soothe your scalp during this process.